Black Plum, also known as Grey Plum or Yellow Persimmon, is a small tree producing plum-like berries in Autumn and Winter. It is a rainforest species found natively from south-east NSW to tropical Queensland. Fruiting usually starts in February and continues until July. Berries are 10-15mm in size, starting out yellow and turning black as they ripen. They are most edible when black and soft, with a sweetness that makes them perfect for jellies, chutneys and jams. Small cream/yellow flowers appear en masse from October, and will self-pollinate. However it is sometimes advised to plant two or more trees to improve your chances of fruiting. Being a rainforest tree, Black Plum prefers moist soils and can tolerate heavy shade. It performs best with protection from both wind and afternoon sun. 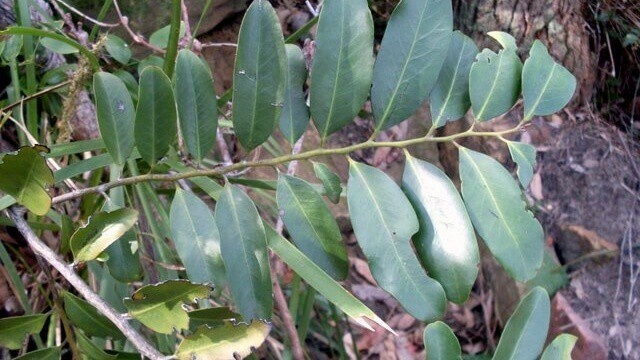 They are an interesting and attractive foliage piece for the garden, bearing glossy green leaves with a yellow/green underside and a prominent yellow mid-vein. 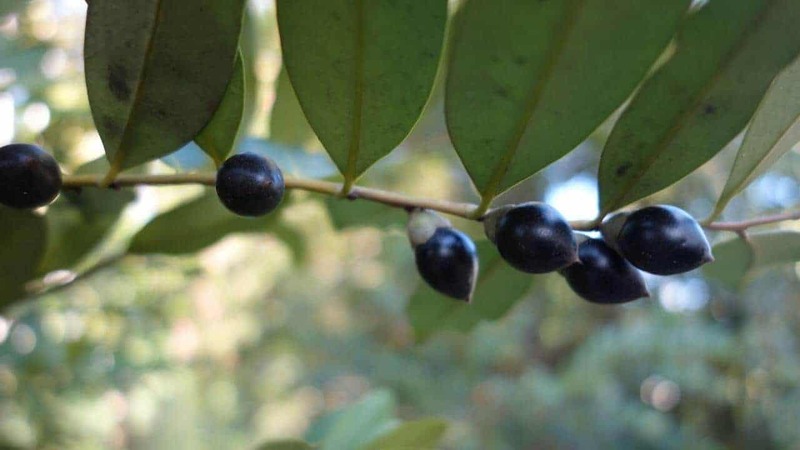 Black Plum grows to between 4 and 10 metres in the garden, but may be kept shrub-sized and smaller in pots. They are also known for fire retardant properties, making them a worthwhile inclusion in your landscape design. Can I keep a Black Plum tree in a pot? Yes, but it would need to be a large pot or wine barrel. Why is my Black Plum not producing fruit? Your plant may not be getting enough sunlight in its current spot; try shifting it to a sunnier position or moving shade objects to allow more light through. If you fertilise your soil, switch to a fertiliser with a lower nitrogen (N) percentage. Planting more than one tree also increases the chances of pollination. What are the brown ‘pimples’ growing on my Black Plum tree branches?